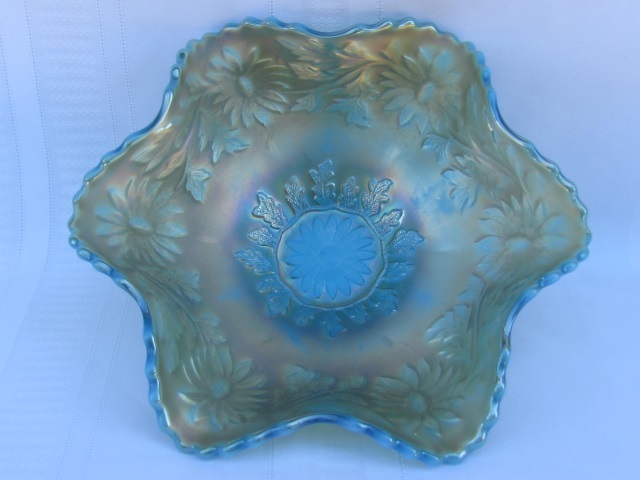 Daisy Wreath has a well-defined central flower surrounded by a narrow band from which leaves radiate. 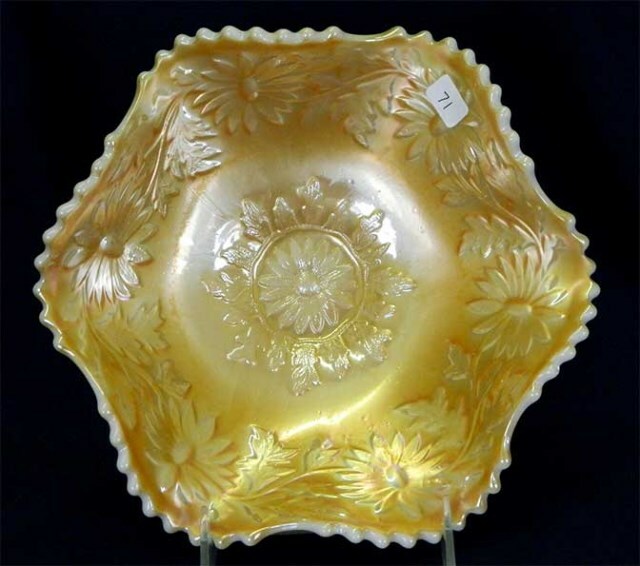 A ring of more subtle daisies circles the outer edge. 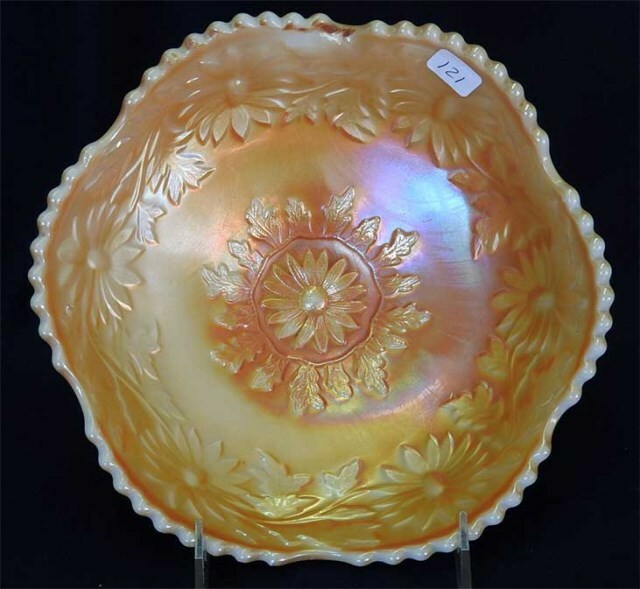 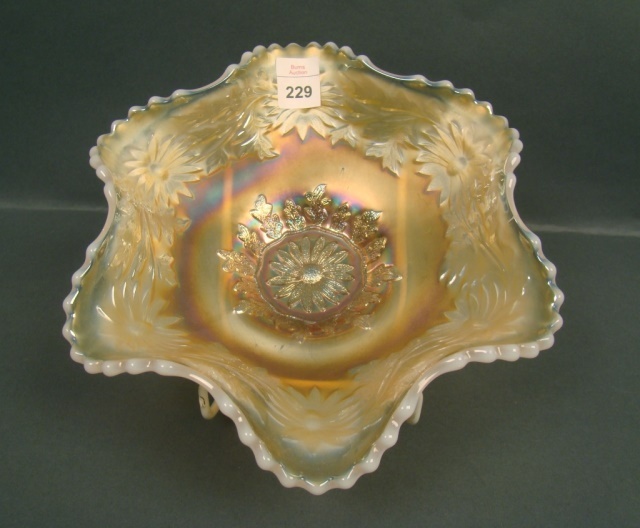 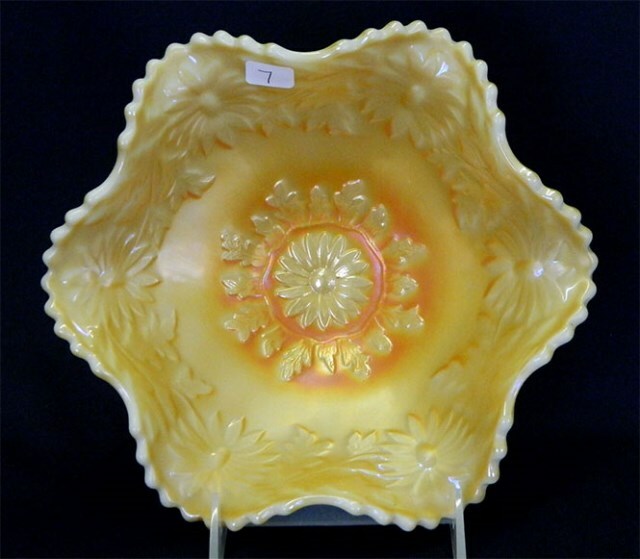 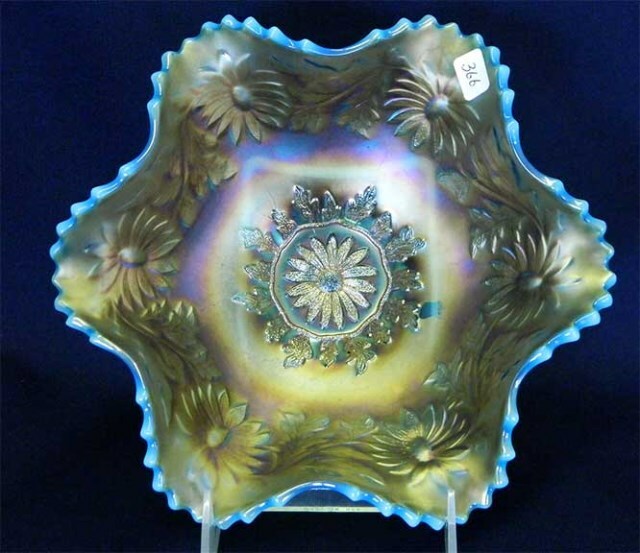 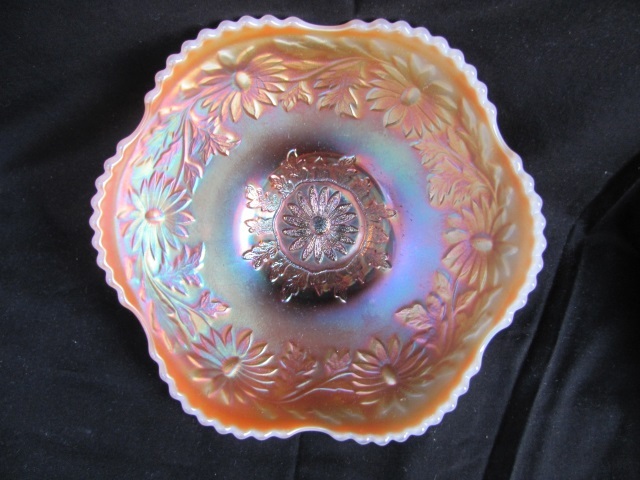 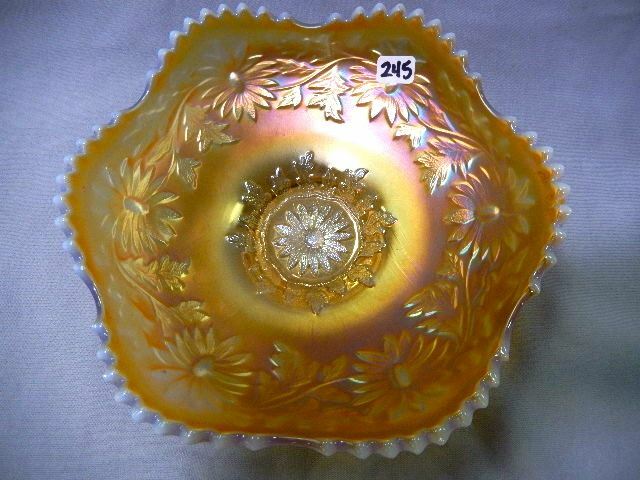 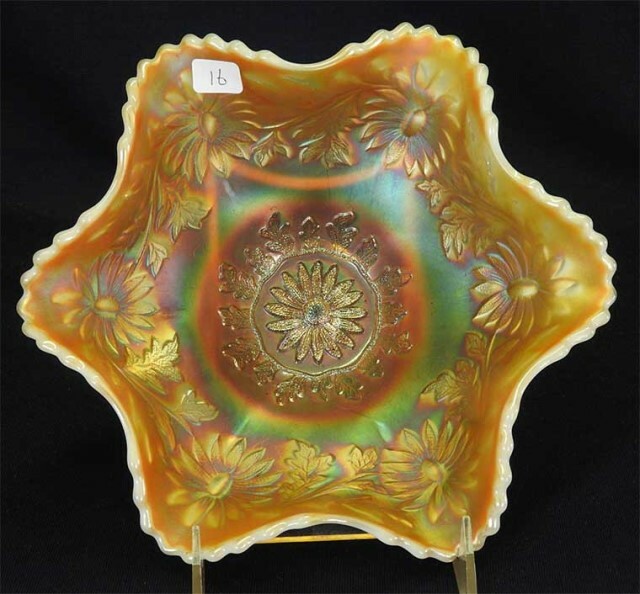 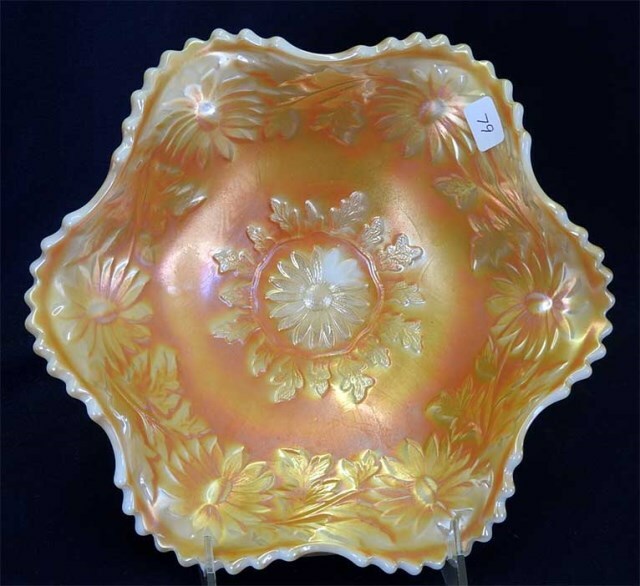 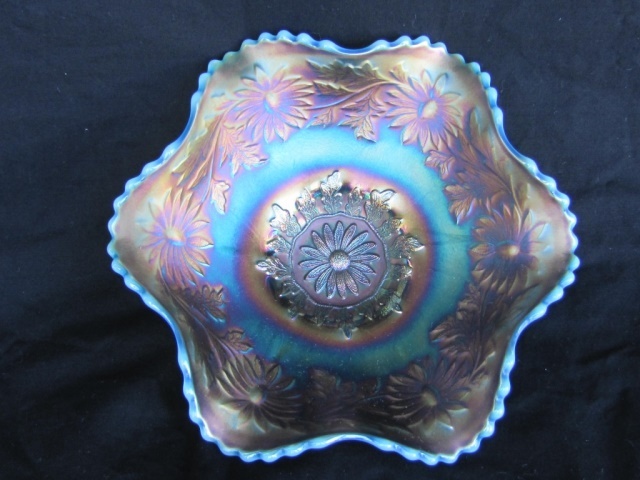 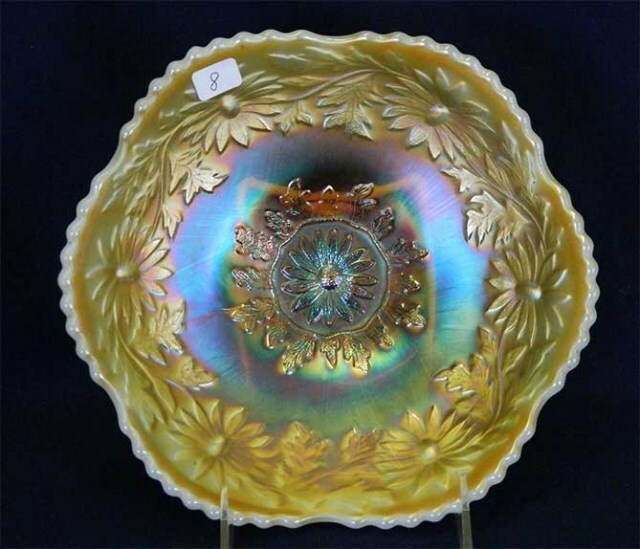 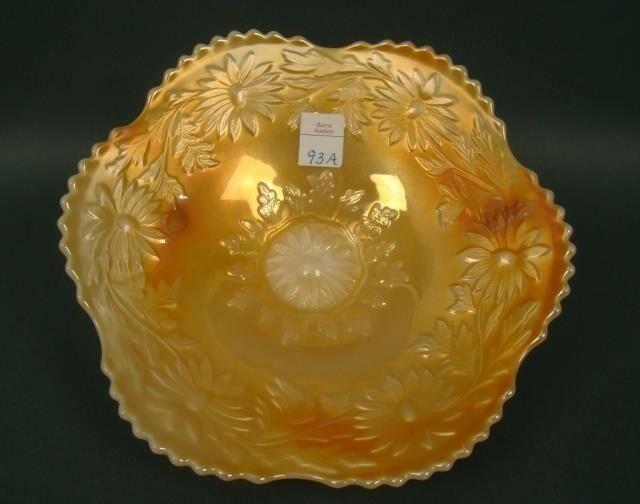 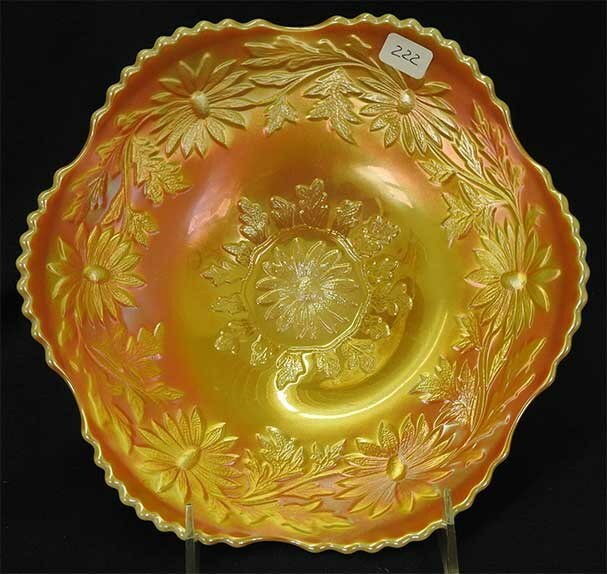 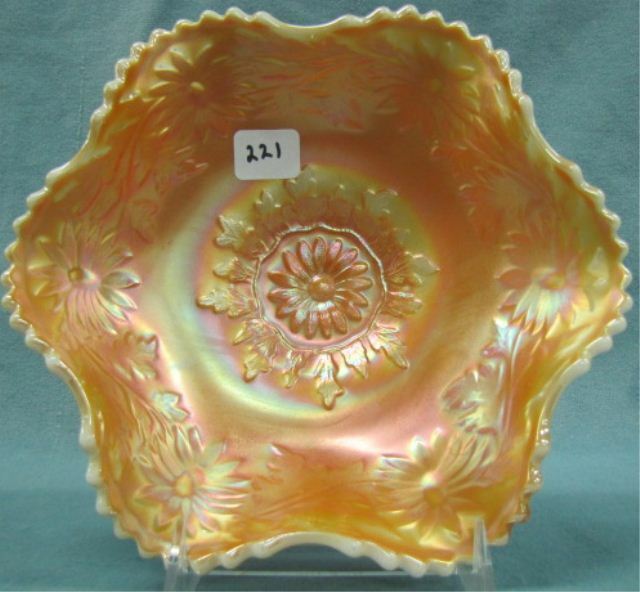 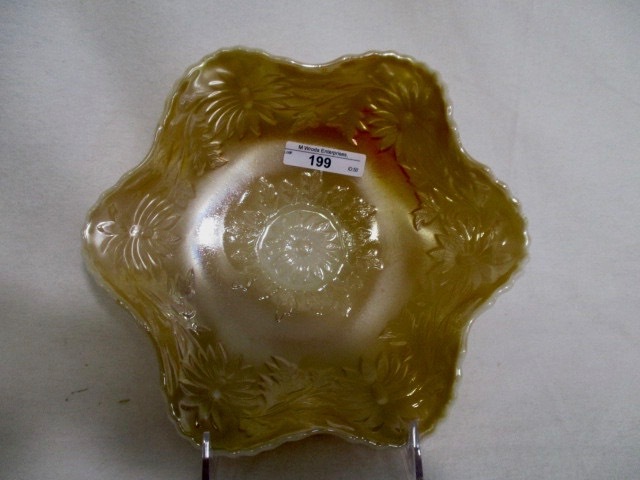 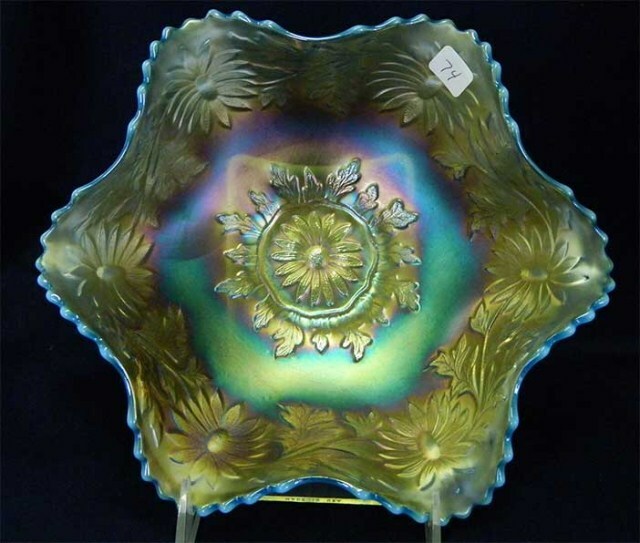 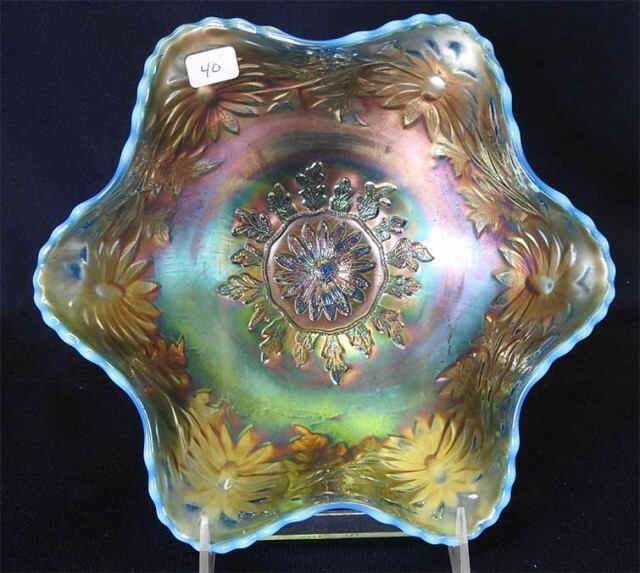 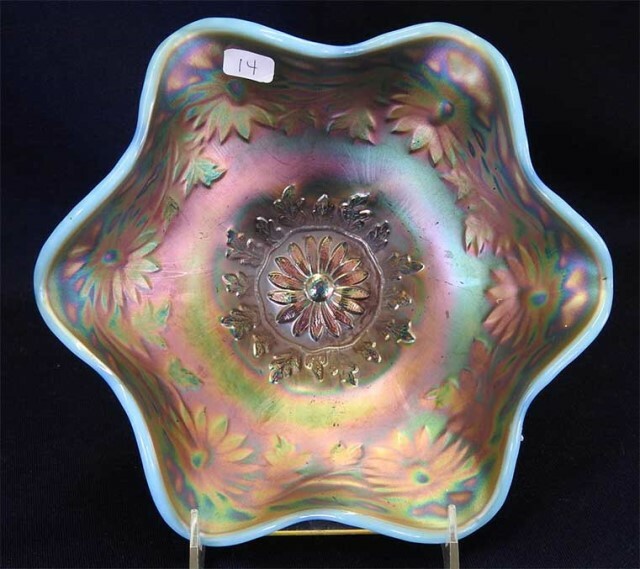 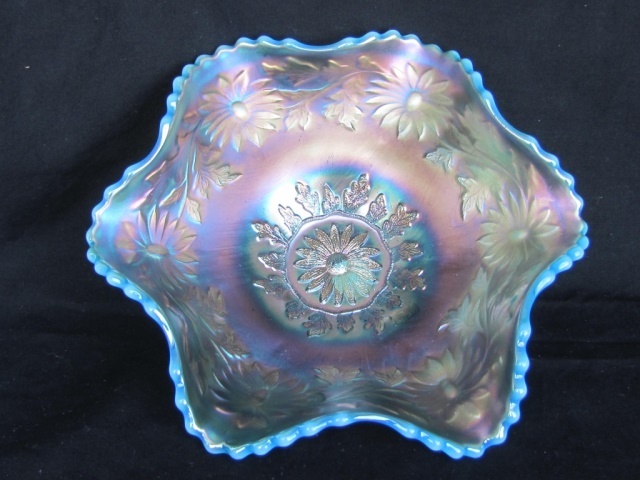 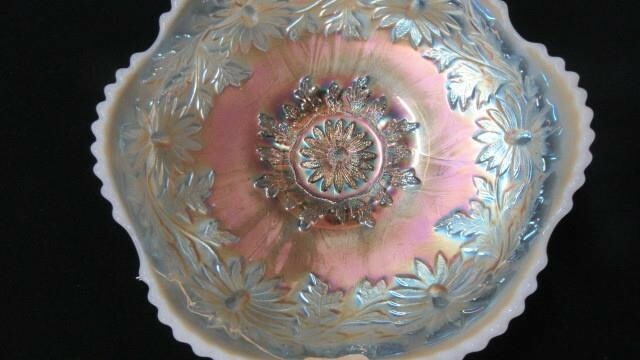 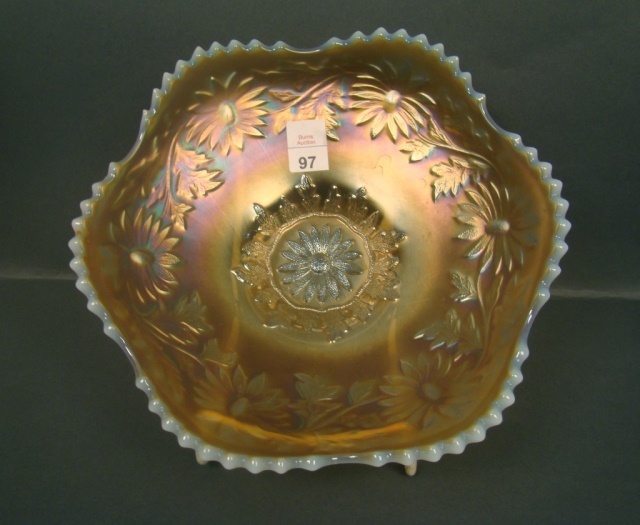 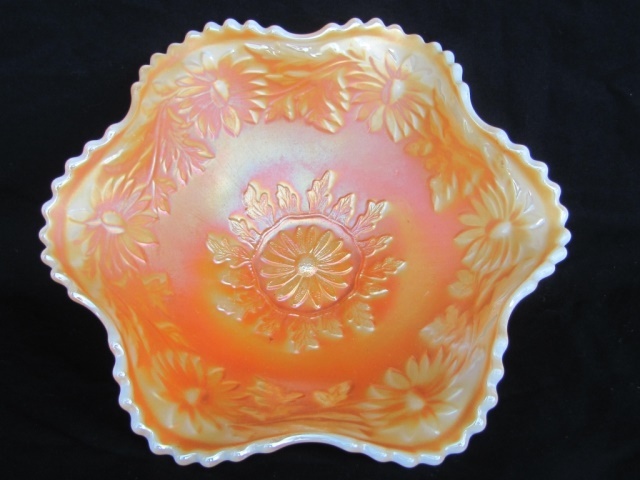 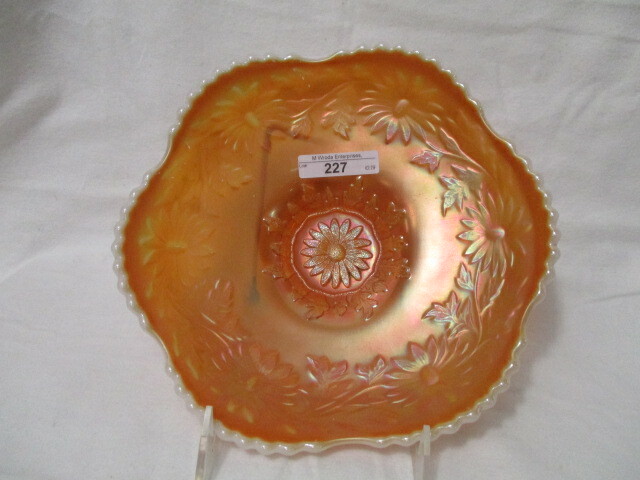 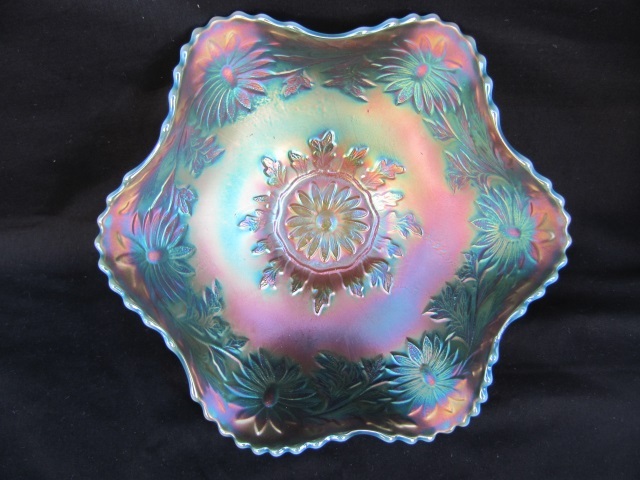 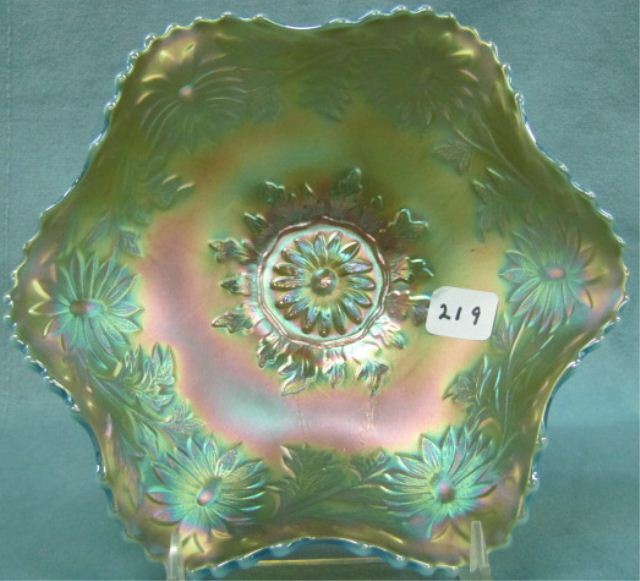 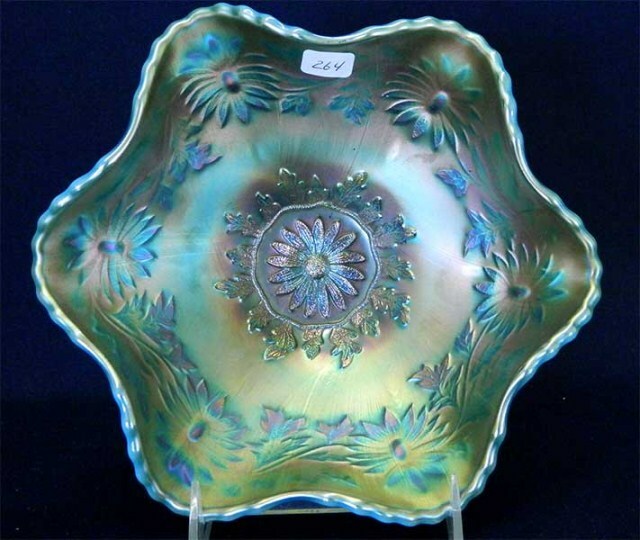 Only one mold–from which bowls and a rare plate were made. 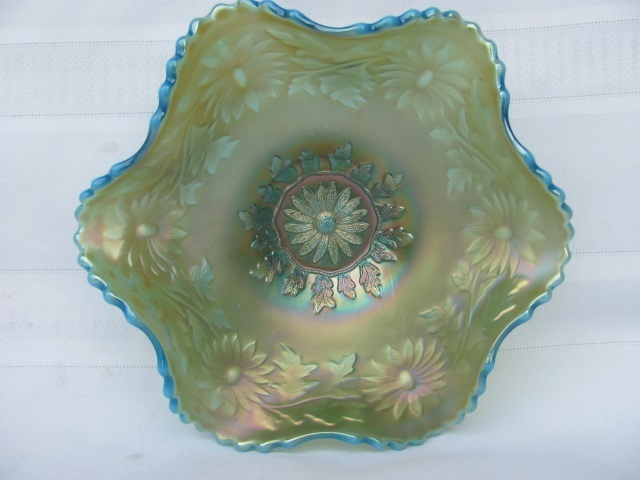 Most bowls are ruffled like that above; there are scarce ice cream shaped examples. 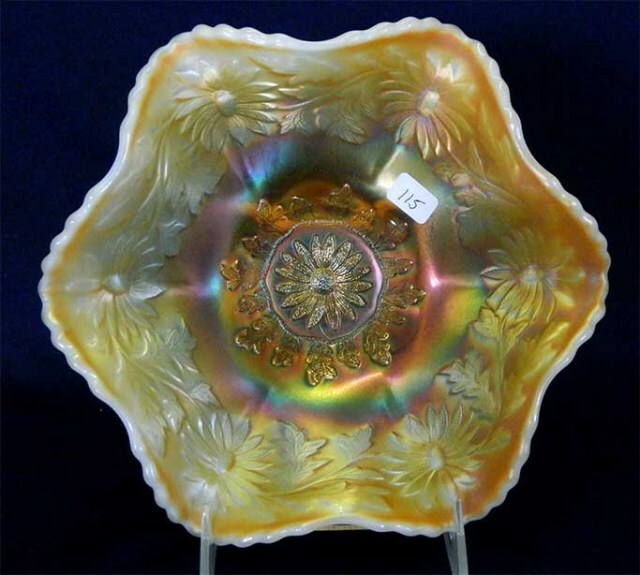 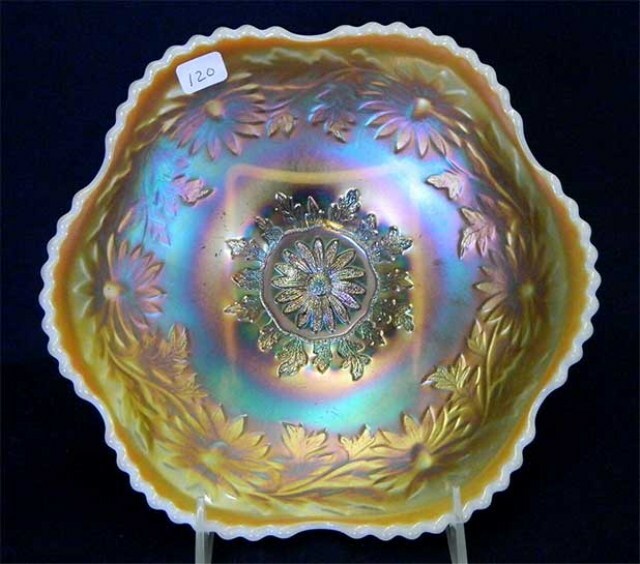 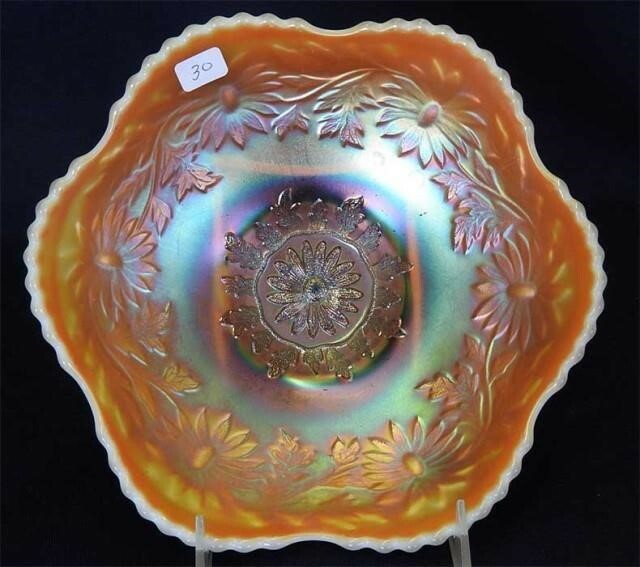 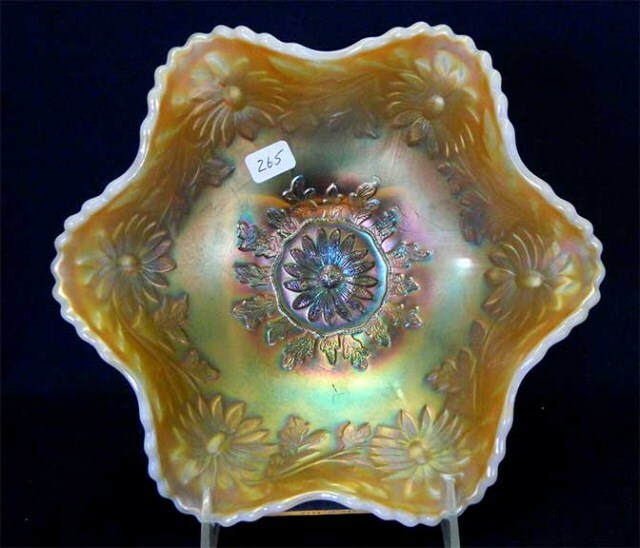 The most often seen color is blue opal followed by marigold on milk glass and peach opal. 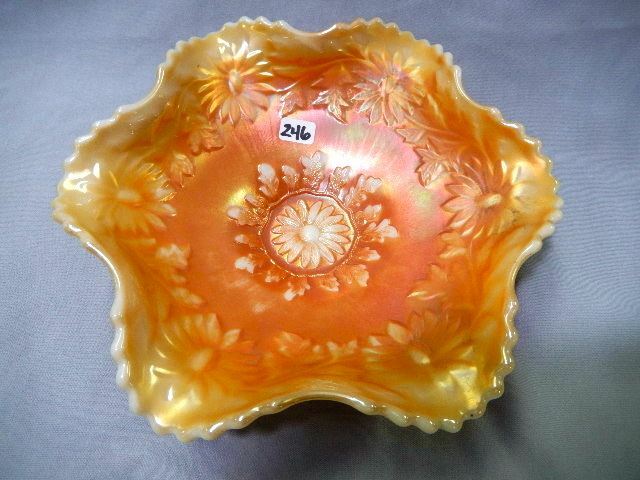 Marigold items are rare. 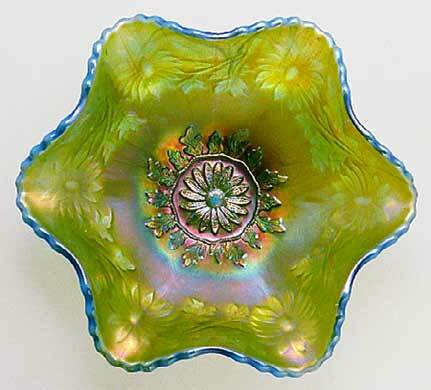 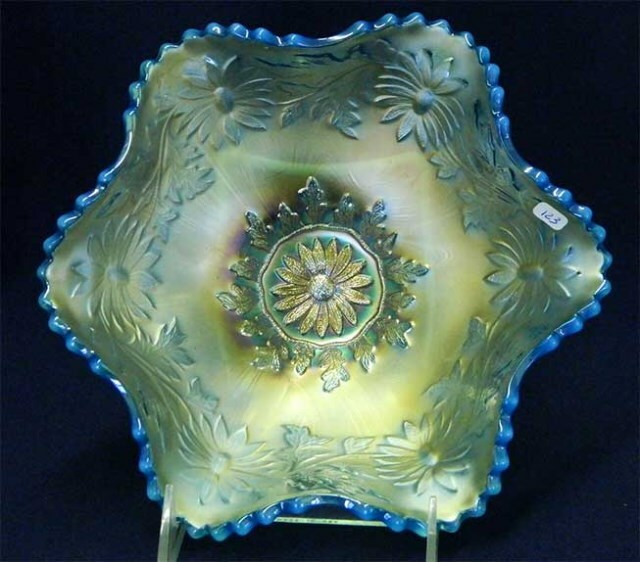 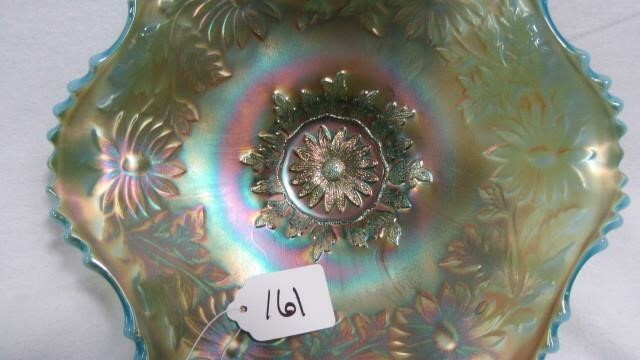 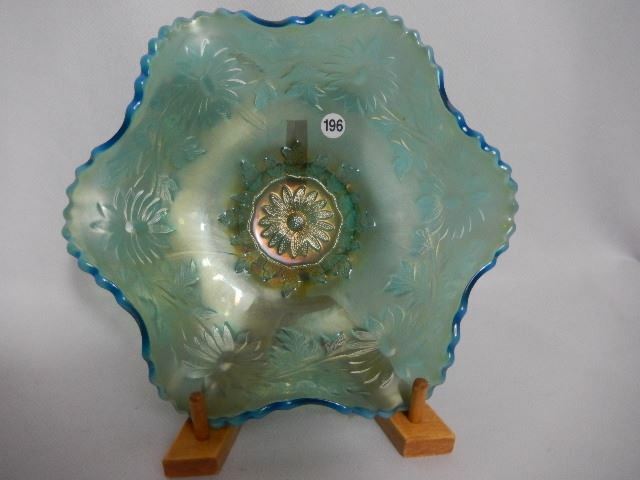 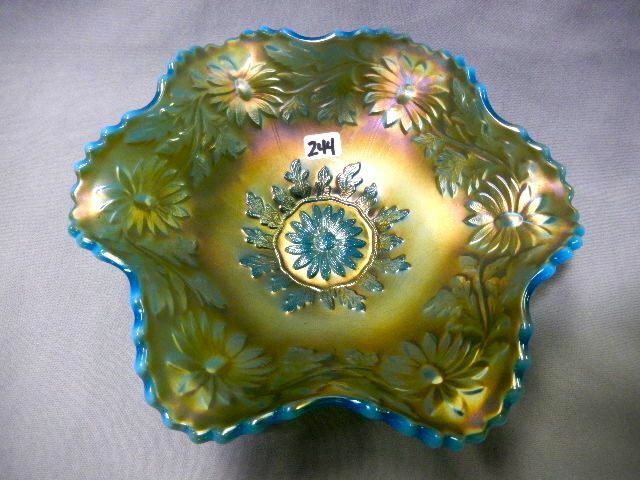 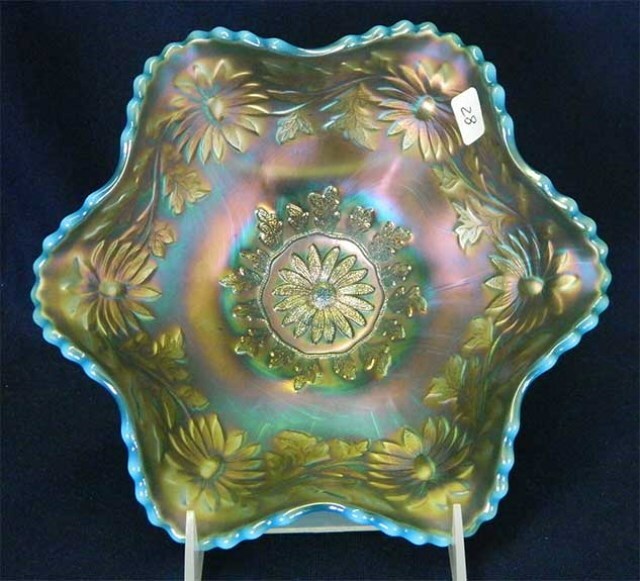 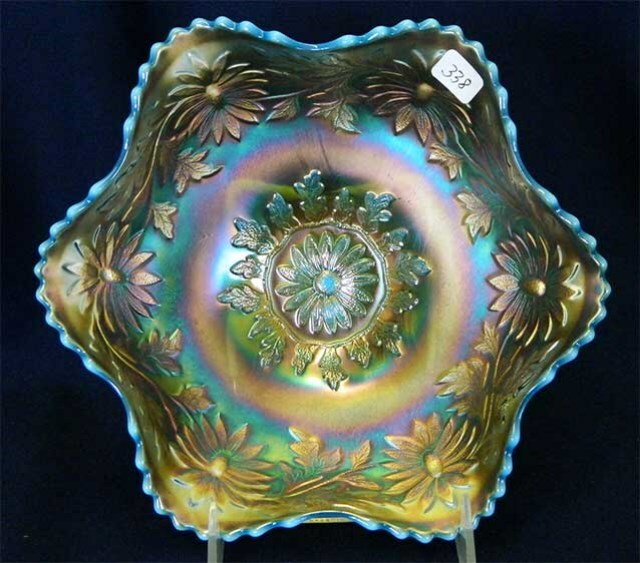 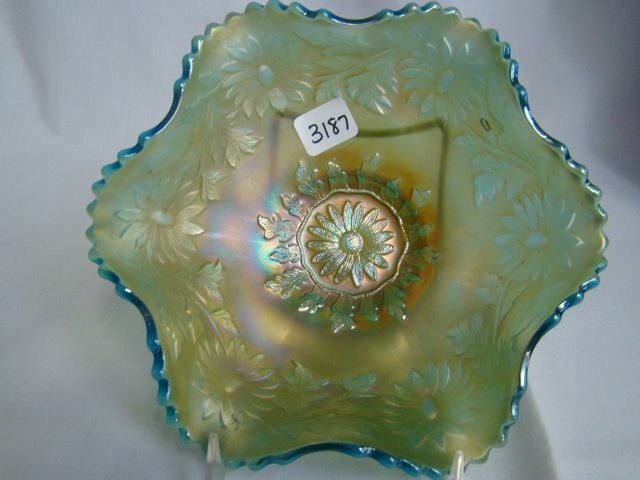 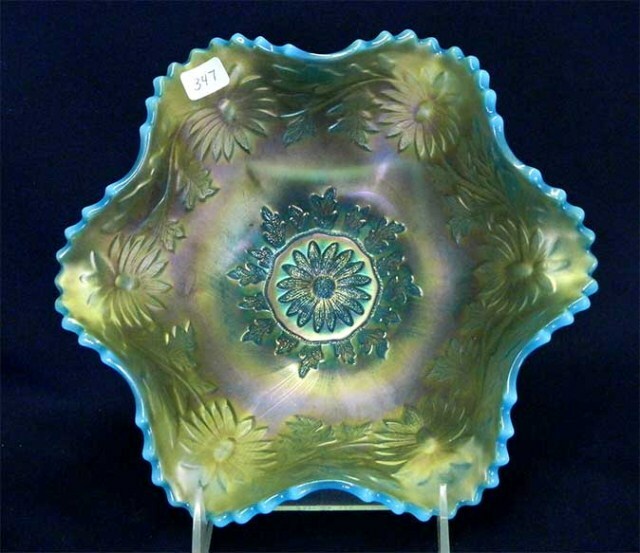 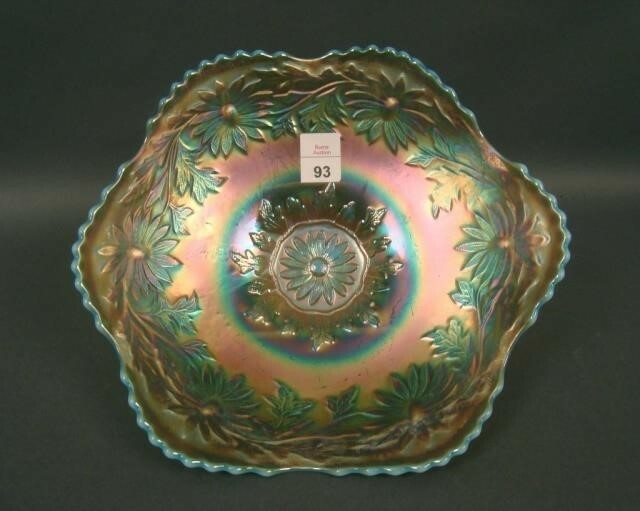 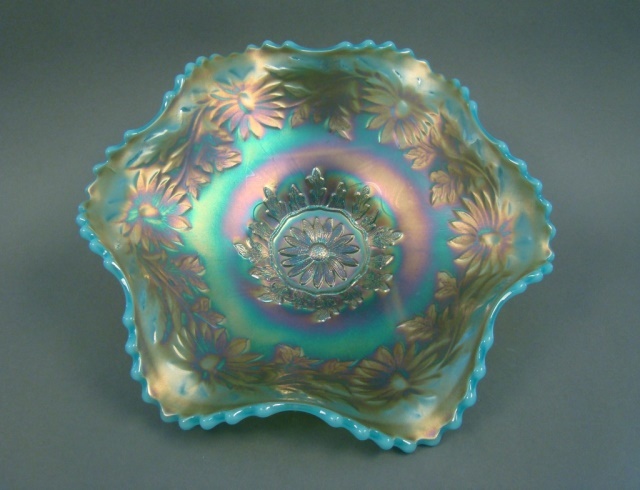 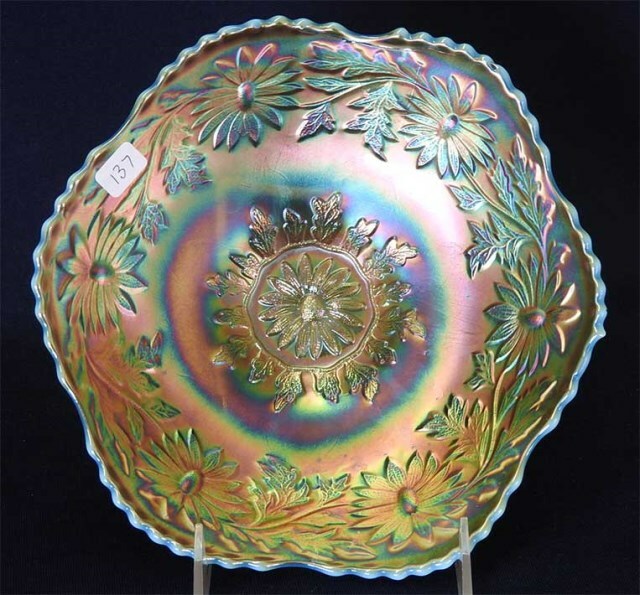 The bowl appears green because of the blue opal base glass showing through the iridescence. 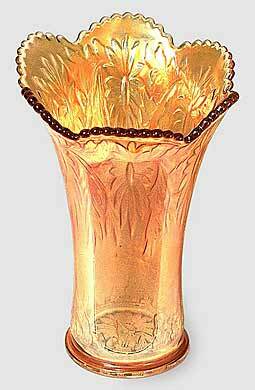 The marigold vase whimsey on the right is the only one known.